Be the envy of your neighbourhood with a custom wood garage door designed by you. Wooden garage doors add distinction and beauty to your home while enhancing durability and security to your property. With our maintenance plans, your new garage door will keep its look for years to come. Whether you’re updating your existing garage doors or starting a new project, trust Nova Garage Doors to provide work that is beautiful, timeless, and expressive. Our planning process is built around you. 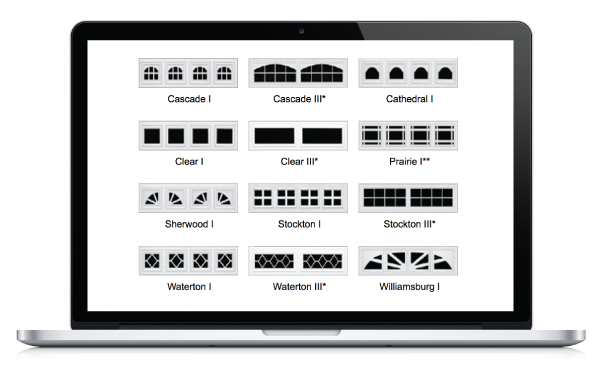 You’ll collaborate with our garage door designer to meticulously plan every detail without breaking your budget. We don’t build your garage door until you approve our design to the very last detail. Thanks to our patented three-step process, we’re confident you’ll love our designs. With our featured supplier Wayne Dalton, you can select the perfect garage door to suit your personal taste and your home’s architectural style. Browse the gallery to view their vast array of colours, window and paneling options that are sure to transform your home.